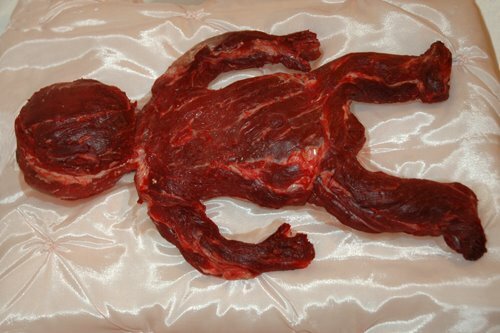 More on PETA’s complaint here. 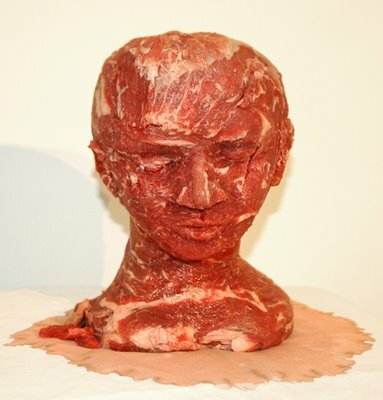 “Meat After Meat Joy,” Pierre Menard Gallery, 10 Arrow St., Cambridge, June 21 to July 20. 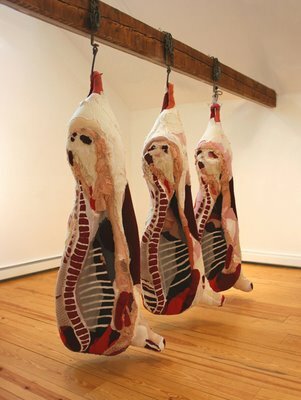 Pictured from top to bottom: Tamara Kostianovsky’s "Abacus,” 2008, articles of clothing belonging to the artist, ink, shellac, wire, meat hooks; and Betty Hirst’s “Baby” and “Bust,” both 2008, raw meat sculptures.